Circa 1936-1951: Anyone collecting vintage Homer Laughlin Riviera pottery will know the difficulty in finding the large 10" dinner plates. 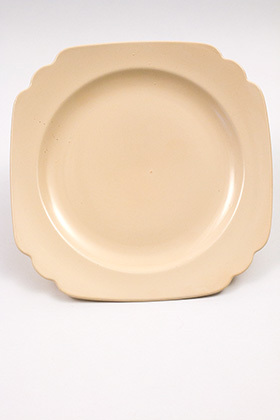 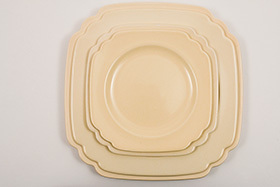 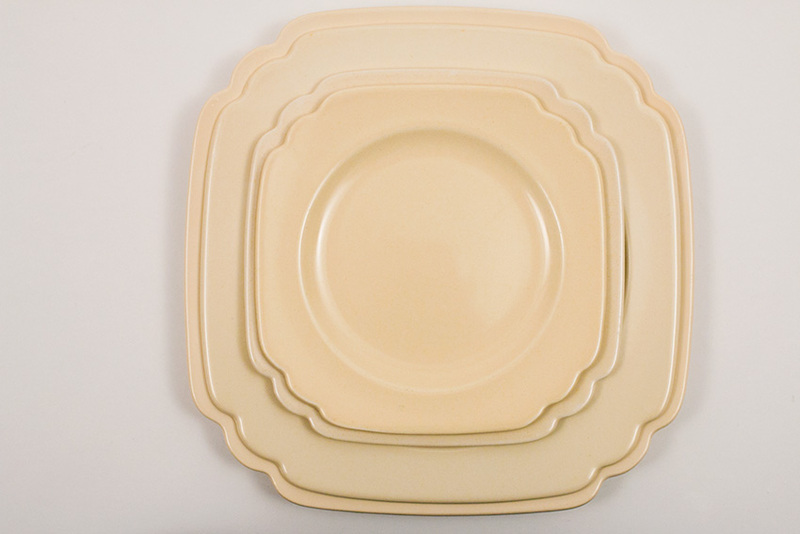 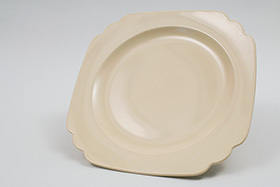 Here's a very nice example of the 10" Riviera dinner plate in original Ivory glaze. 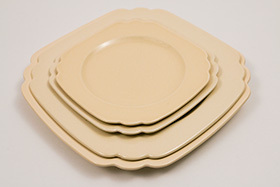 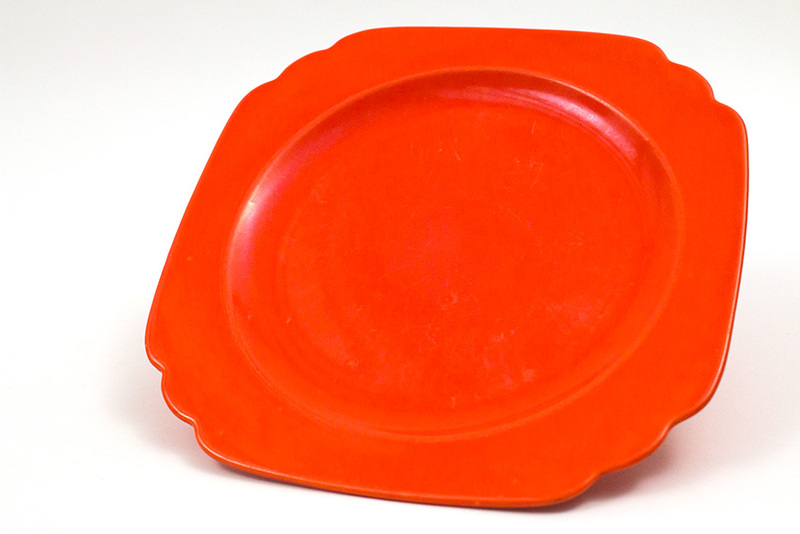 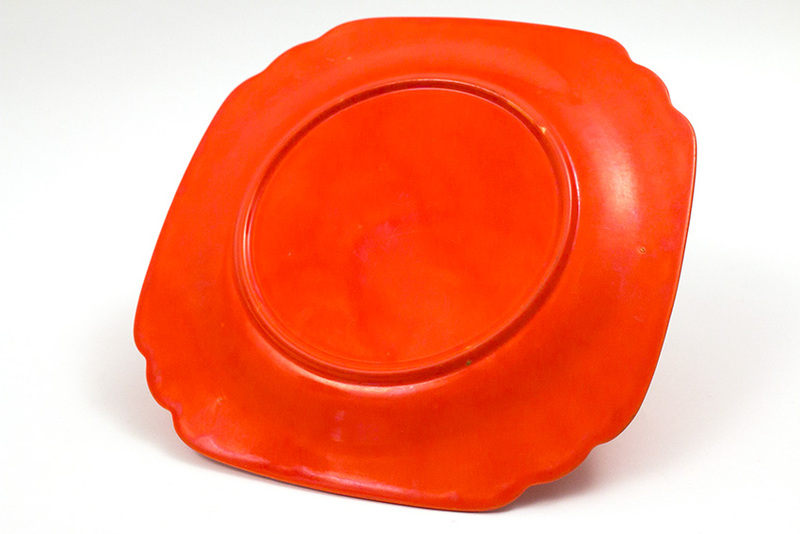 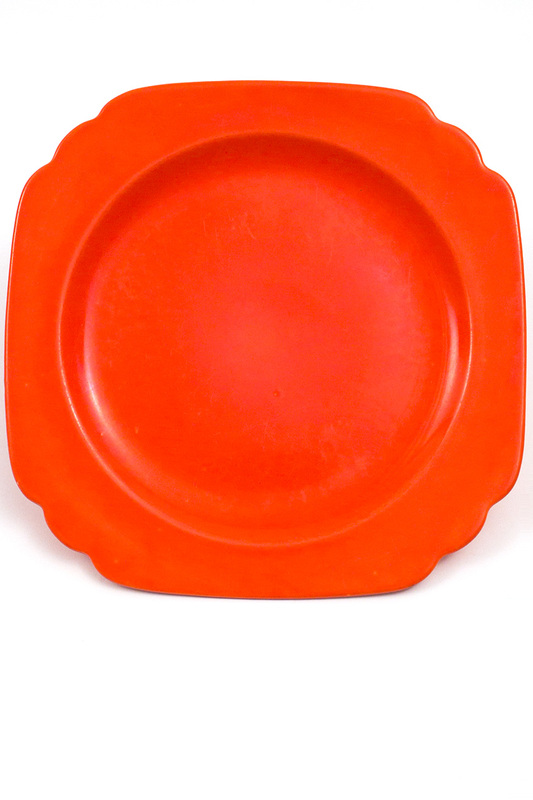 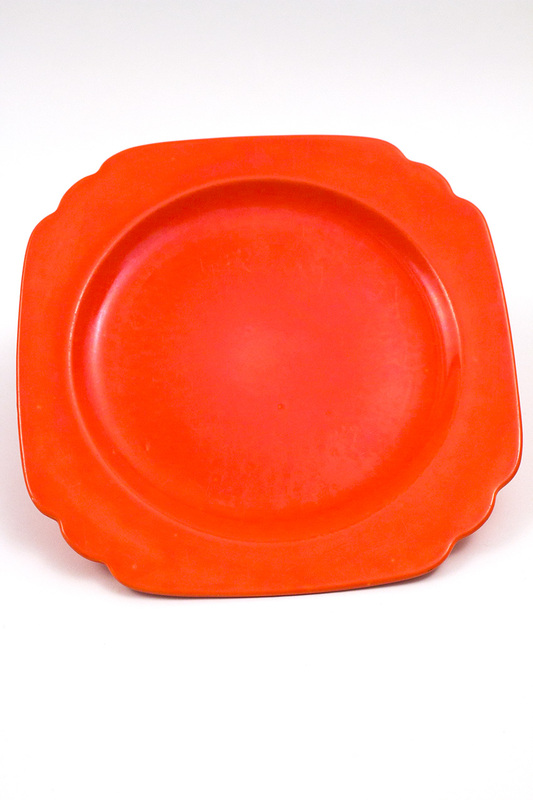 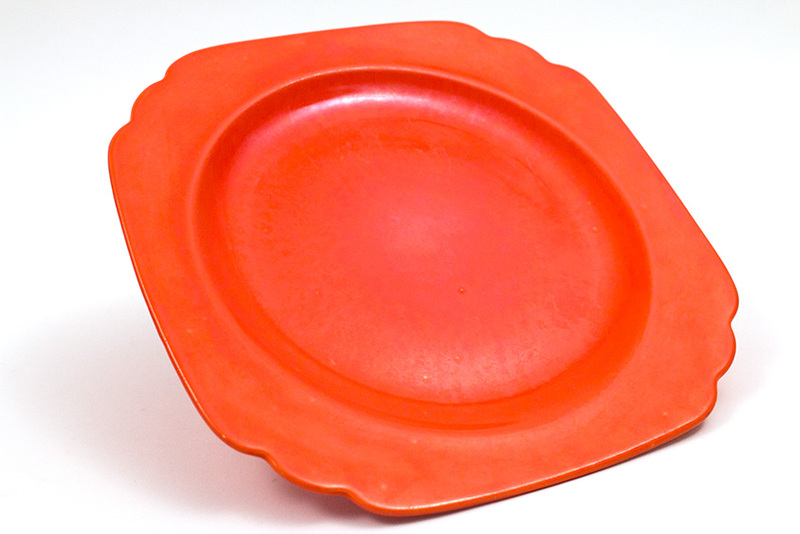 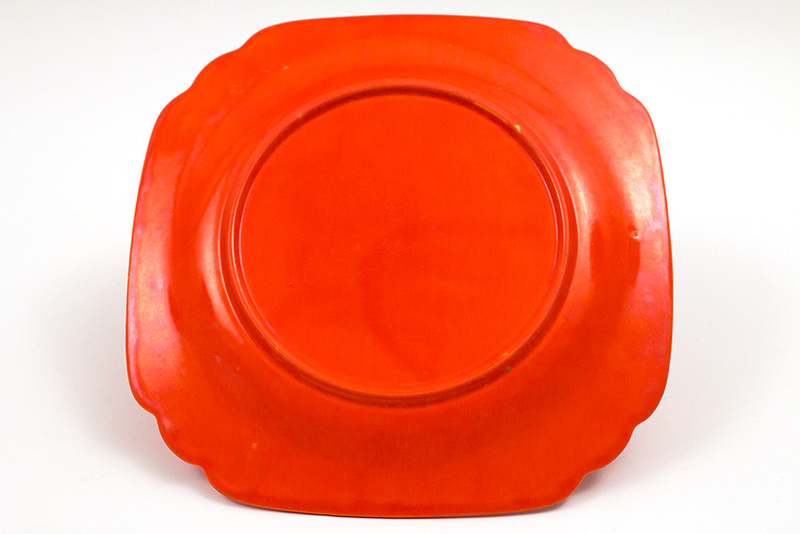 No chips, cracks, touchups, repairs or damage of any kind - exceedingly hard to find these large Riviera plates. 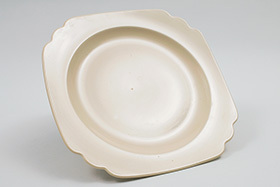 This example is nicely unmarked, so it will match all the other unmarked Riviera pieces and not be marked Wells. 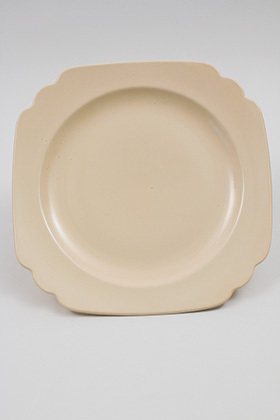 This Dinner Plate promises to be the end of a delightful setting. 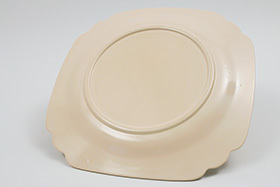 Measures 9 3/4".